Ok.. Not exactly fashion.. Let's be honest! 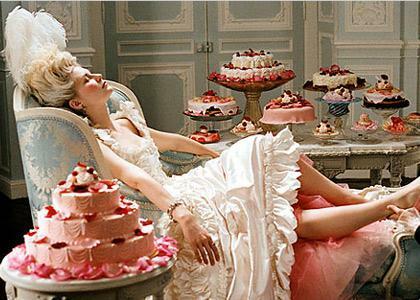 But...... Now that I'm thinking about it.......after Laduree's collaboration with Lanvin, I'm sure we can consider it as fashion! Fashion and sweets can live together happily and harmonically, anyway.. So let's start again! 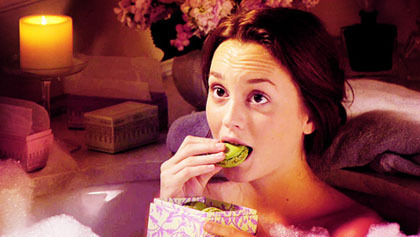 Everyone knows Laduree.. If you don't you must be sick or something.. The aristocracy knows them well.. And by aristocracy I mean the queens of aristocracy.. Blair Waldorf and Marie Antoinette of course! 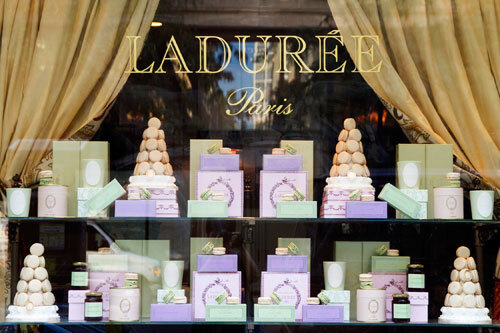 For those who are sick (as I said before), Laduree is a luxury cakes and pastries.. It all began in 1862, when Louis Ernest Ladurée, created a bakery at 16 rue Royale in Paris...They are one of the best known makers of macarons in the world.. There is always a long long line at their store.. I find my self lucky having eaten these famous macarons on a trip in Paris.. 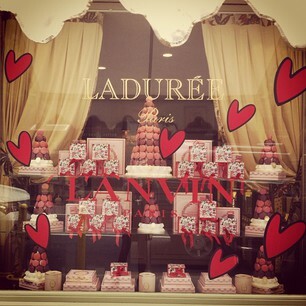 It was like a fairytale..
On October 17th, 2012 they had the reopening of Ladurée Champs Elysées.. Parisiens chanceux!!!! If you want to taste them, they have provided with many stores all over the world.. 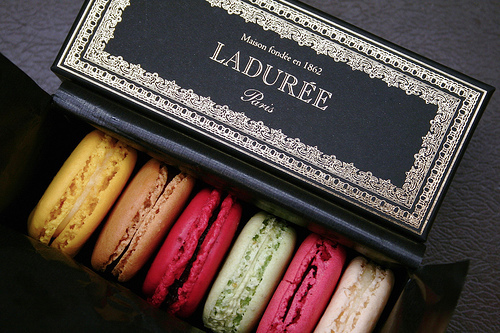 I adore macarons, they say laduree are one of the best!!! !